The Group Leaders will be the closest collaborators to the participants. 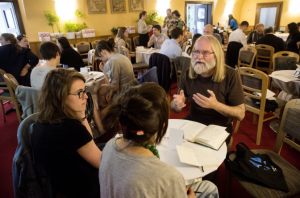 During all three workshops they will moderate the discussions and work inside the groups, but also bring their own feedback and offer their expertise on participant’s projects, drawing from a rich professional experience as leading European producers. For the first edition of the CEE ANIMATION WORKSHOP, we are proud to be working with Ewa Puszczyńska, producer of The Congress by Ari Folman and Ole Wendorff-Østergaard, producer of Another Day of Life by Raul de La Fuente and Damian Nenow. Ewa Puszczyńska is an experienced film producer, including Oscar winning film Ida. For more than 20 years she was working for Opus Film, one of the biggest film production studios in Poland, successfully leading international co-productions and executing projects for international companies like Sony AXN, RatPac Enterntainmet – co-producing films with international cast including Jim Carrey, Charlotte Geinsbourg, Marton Csokas, Katie Outinen. 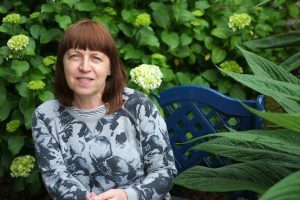 She started her professional life working for one of the most famous Polish puppet theatre Arlekin as a literature research, playwrite editor and advisor. In 2014, she started producing films by her own company – Extreme Emotions. Ewa is a producer of the feature film Cold War, and recently she set up a new production company NEM Corp. She is a speaker at Film School in Lodz and Andrzej Wajda Film School in Warsaw, MAIA, SOFA, talents’ advisor for Torino Film Lab. She is as well member of PFA and as EFA board member. 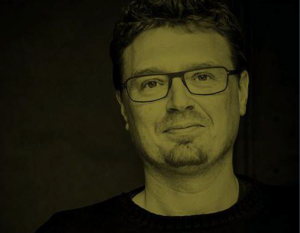 Producer Ole Wendorff-Østergaard has large co-production and film finance experience from films such as Antichrist by Lars von Trier, The Model by Mads Matthisen and Another Day of Life. From 2007 to 2010 Ole was a financial producer at Zentropa in Denmark and a part of the producer’s team of 9 features with a total budget of over 35 mil EUR. Ole has co-produced with the following countries: France, Spain, Belgium, Poland, Denmark, Sweden, Norway, UK, Hungary and Germany. Since moving to Poland in 2008 Ole started up Zentropa International Poland and worked as Delegate Producer for Platige Image until completion of Another Day of Life. The film premiered in official selection Cannes 2018 and has won Audience Award at San Sebastian IFF and European producer of the year Cartoon Movie. Another Day of Life is nominated for European Animation Film by EFA. Ole is currently back in Denmark and working on developing a hybrid animation TV series for animation house WilFilm. Both script advisors will work individually or in group sessions with the project teams, helping them to formulate the voice of their story in the best possible way in terms of dramatic structure, genre and story arc. In addition to several one-on-one meetings with project teams during the first two workshops, participants will be invited to have follow-up Skype sessions with script-advisors, to receive feedback on advancement of their project, up to six months after the end of the workshop. Screenwriter and creative producer Phil Parker works on five continents and has developed original content in over twenty countries demonstrating there is a global capacity for new concepts. His clients have included Aardman Animation (the Oscar winning Wallace and Gromit – Curse of the Were-Rabbit and multi-award winning The Pearce Sisters), the Mob Film Company (Terry Prachett’s The Hogfather), Foreseesense (Bach in Brazil – 2016, 16 weeks in German Box office), the UK Film Council, Berlin-Brandenburg Medienboard, PRIME Exchange, and Nord Media. Phil Parker, co-wrote Manou the Swift (2018) and is a co-founder and CEO of BCre8ive, a multiplatform online development company. 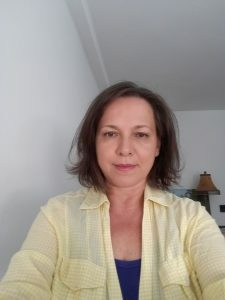 Rita Domonyi is a freelancer script editor, who is working on animation films with Hungarian animation studios. She started her carrier in animation at Varga Studio, where she became the Creative Development manager of the company. She is also the teacher of Moholy-Nagy University of Art and Design in Budapest (MOME), and gives script editing lectures at the Animation Sans Frontières workshop. She was involved in numerous festival winning short films from MOME such as Rabbit And Deer by Péter Vács or The Noise of Licking by Nadja Andrasev. She is currently a dramaturgy/story editor of an animated feature film in production, White Plastic Sky by Tibor Bánoczski and Sarolta Szabó.